The Australian writer Gabrielle Carey has been shortlisted for the 2019 Hazel Rowley Fellowship for a new book on Elizabeth von Arnim. The fellowship is worth 15000AUD and is awarded in support of biographical writing. Gabrielle Carey is an Australian author, essayist, biographer and lecturer, who has written several auto/biographical books and essays. Her first novel Puberty Blues, co-written with Kathy Lette, was published in 1979 when Carey was still a teenager herself and was later made into a film. 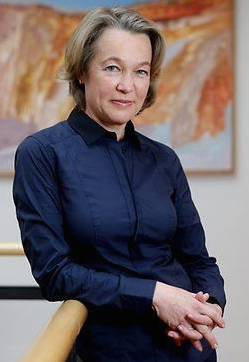 Her book Moving among Strangers: Randolph Stow and My Family (University of Queensland, 2013) was joint winner fo the Prime Minister’s Award for Non-Fiction in 2014 and was short-listed for the 2015 National Biography Award. Carey writes that her “most important literary discovery since James Joyce is Elizabeth von Arnim”.